Spring has finally arrived in Northern Virginia! And after months of chilly temperatures, residents are ready for the warm weather. But is your landscape ready too? This is the best time to give your lawn and landscape a little extra TLC so that when summer comes, it’s healthy, beautiful, and ready for use. If you aren’t following these five tips for summer landscape preparation, today’s the day to start! Clean up your yard—snow, wind, and cold temperatures can take a toll on your lawn and plants. Some may be damaged, while others may not have made it through the winter season. Determining which plants should be pruned and trimmed, and where, can be difficult for the DIY-yer, but a skilled landscaper can help you effectively provide attention where needed. Take care of your lawn! It’s likely been neglected over winter, so make sure you proceed with regular maintenance throughout the season—meaning weekly lawn mowing and routine watering. Weed control will likely be needed as well, along with fertilization. Install seasonal plantings. Certain plants are better off being installed in fall and left to grow over the dormant winter months, so that they can start blooming in spring and summer. Other bulbs and flowers that grow more quickly or are better suited to spring’s climate can be planted now and enjoyed all summer long. It’s also a good time to start up a maintenance plan for your existing gardens. If you did plant gardens in fall or have flowers that blossom each year, they will need some maintenance to ensure they’re healthy and beautiful for summer. Applying fresh mulch and edging any flower beds in your property will keep things tidy and provide for proper soil conditions. Meet with a landscaper to see where your outdoor space could use improvement. Whether you are considering adding a patio or need recommendations on garden designs and plant placement, an experienced landscape designer can help you plan and implement the best projects for your yard and to meet your needs. 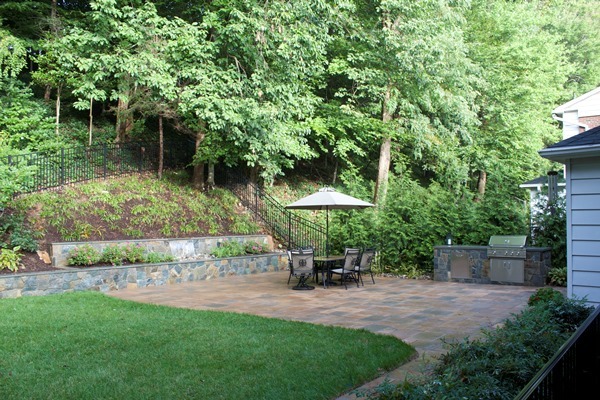 Need Spring Landscaping Help in Northern Virginia? Call O’Grady’s Landscape! 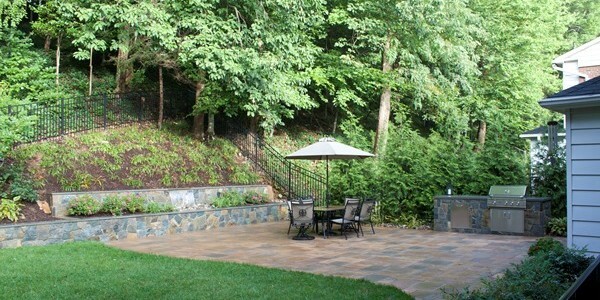 If you need help with summer landscape preparation in Northern Virginia, call O’Grady’s Landscape. We provide comprehensive spring landscaping and maintenance services, including plant installations and entirely new landscape designs, and can help you get the picture-perfect backyard space in time to enjoy this summer. We offer free estimates! Call 703-533-5001 or fill out an online contact form to get yours today. ← Why Plant with Native Plants?